Morocco is at the intersection of Europe and Africa, bordered by the waters of the Mediterranean to the North and to the West by the Atlantic Ocean. A country rich in contrasts, a destination that beckons you to discover more than two millennia of history. Morocco is where influences converge, you will find vestiges of the great Mediterranean civilizations, such as the Roman ruins at Volubilis in the north and architectural works attesting to the old French presence in Rabat. 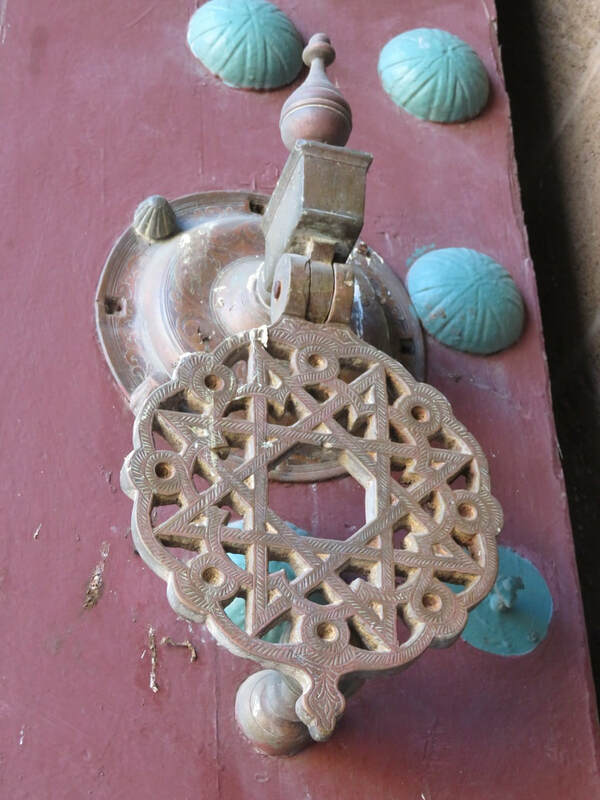 The country is Muslim, but also had a significant Jewish presence, which we will learn more about as we travel. Besides the thousands of years of history, the next thing is the scenery, from the heavily populated cities, to the Sahara Desert, to the snow covered Atlas Mountains, to the lush Oasis’s following the streams and rivers. The ancient adobe style towns and villages are great for the photographer. But we must also never forget the people; we found them so friendly and always ready to offer assistance. In particular when shopping; to wander through the markets, absorbing the aromas, the language and the vast offerings of merchandise. You will be sure to see many things that will tweak your curiosity and others that might put you off a bit, but this is how they have survived for millennia. 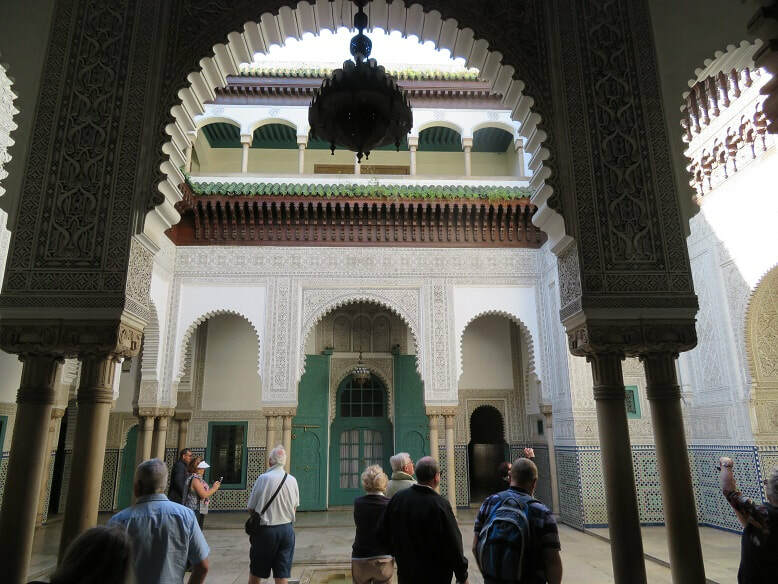 Join me as we head off from Casablanca to Rabat – Fes – Meknes – Moulay Idriss – Mildet Erfoud – Merzouga – Todra Gorge - Dades Gorge – Quarazate – Ait Benhaddou – Marrakech – Essaouira – Qualida and back to Casablanca. Time to meet my fellow travellers, who turn out to be nearly all Australian, well except for a Canadian lass, whom we soon adopt. They were all mature travellers, which meant the pace would be ideal. We are met by our official tour guide Hassan El Gaaboud, who checks that we are all there and quickly has our luggage stored in our brand new tour coach. We soon learn why Hassan is one of the most respected tour guides in Morocco. His love of his country is reflected in his knowledge of its history. Many, many questions were asked from our group during the next11days and Hassan had the answer to all. Miloud Belaaroussi is our chauffeur, I call him that instead of driver because in the several thousand kilometres he drove us, from clogged city and village streets, to open highways, to roads though the Sahara and up and over the Atlas Mountains, never once did we feel uncomfortable or at risk. 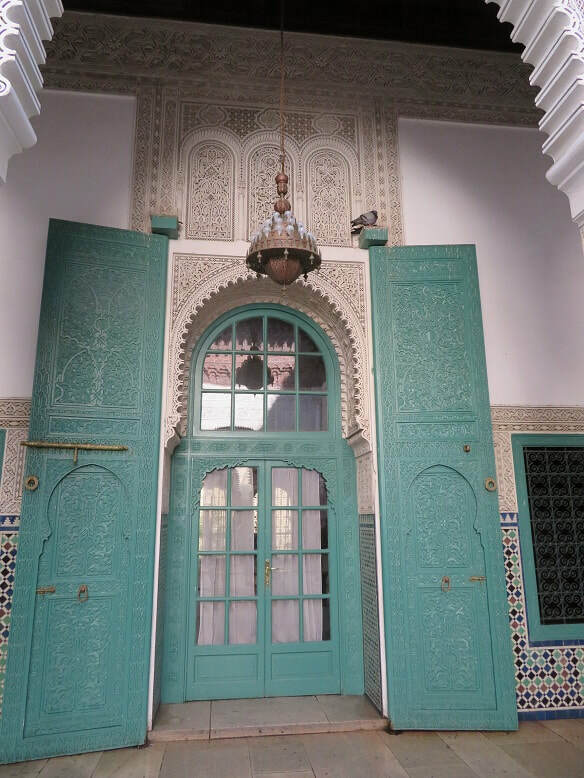 As we leave Casablanca, we make a call into some historic palaces to get out first taste of the colourful architecture. If you love arches and doorways, this is the right country to explore! 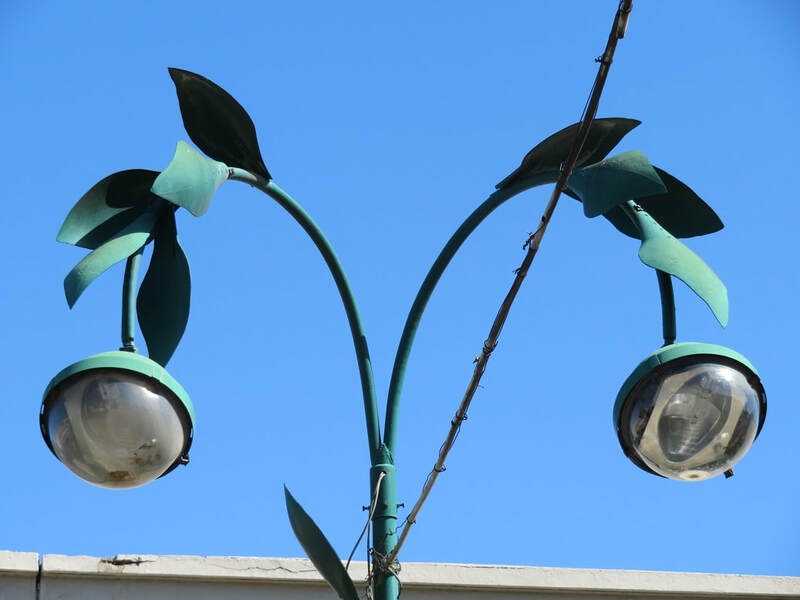 Even the streetlights have flair. Part Two; we travel to Rabat, Fes and Meknes.